This two-in-one edition follows on the earlier one of Dark Angel/Lord Carew’s Bride. Lord Francis Kneller, hero of The Famous Heroine, appears in both the earlier books, most notably as a suitor of Samantha Newman’s. The Duke of Bridgwater, hero of The Plumed Bonnet, also appears in the earlier books. 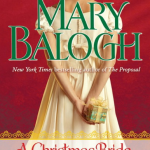 There is one more book in the series—A Christmas Bride, which will be out again at the end of 2012 in a 2-in-1 edition with the standalone Christmas Beau. The very elegant Lord Francis Kneller is nursing a broken heart after the lady he has long loved married someone else. He is attending a ball but wishes he were anywhere else on earth—except that there is nowhere else on earth where he would be any happier. He is joined by his friend, The Duke of Bridgwater, who makes small talk with him for a while before coming to the point. “I have a small favor to ask of you,” the duke said, causing Lord Francis to swing around to look full at him, his eyebrows raised. He felt a flicker of interest. Life had been so desperately devoid of interest for weeks now. He must be impoverished indeed, he thought, if the mere mention of a favor he might do grabbed his whole attention. Perhaps his grace merely wished to know if a lock of his hair was sticking out at the back like a cup handle. The slight pause before the final words and the almost imperceptible pain in the duke’s voice as the words were spoken alerted Lord Francis to the fact that the small favor had something to do with the protégée. It would hardly concern Lady Elizabeth Munro. She was betrothed to old What’s-His-Name, who was in Vienna, reputedly dazzling the world with his diplomatic genius. And Lady Jane Munro, though young and unattached, was unattached only because Bridgwater had rejected a string of suitors whom he considered unworthy—if gossip had the right of it, as gossip had a habit of not always being. Lord Francis was the son and brother of a duke, but it was extremely unlikely that he would ever attain the title himself since his brother had already been brilliantly prolific in the production of sons. No, it could not be Lady Elizabeth and would not be Lady Jane. It would be the protégée. “I trust they are all in good health?” Lord Francis said politely. “Ah, yes, indeed,” his grace said, his glass pausing for a moment and his lips pursing. Yes, she was pretty, Lord Francis thought as he followed the line of the duke’s quizzing glass to the young lady on whom it was trained. The quizzing glass resumed its journey. “I would appreciate it, old chap, if you would dance a set with the protégée. Miss Cora Downes.” He said the name with something like distaste. Lord Francis coughed delicately behind one lace-covered wrist. “Her own proper milieu?” Lord Francis’s curiosity was piqued. It seemed to him an eternity since he had felt anything as wildly exhilarating as curiosity. Lord Francis sifted through the flattery and decided that somewhere at the core of it was a sincere compliment. Was the girl so very dreadful, then? She was a merchant’s daughter? A merchant with pretensions to gentility? Was she ghastly and vulgar? Why had the very fastidious Duchess of Bridgwater taken her on? He decided to ask the question. “She is your mother’ protégée?” he said, phrasing the sentence politely as a question. His glass was to his eye again and directed at the doorway. Lord Francis glanced that way too and saw the Duchess of Bridgwater, her usual regal and beautiful self in purple, Lady Elizabeth Munro as beautiful and aloof as ever, Lady Jane as small and sweet and innocent as she had looked last year during her first Season, and—and another young lady, who must be the protégée. She was tall, large—he caught his mind in the act of using the latter word. She was not fat. Nothing like fat. But there was something large about her. Voluptuous, he thought, was a more accurate word. If she ever appeared on the stage, she would draw men to the green room like bees to a flower. It was an unkind thought. She was dressed in virginal white, like Lady Jane—it was rather unfortunate that she stood next to the younger Munro sister—and the gown had been carefully designed to show somewhat less of her bosom than was fashionable. He suspected the restraining hand of the duchess. If the girl’s gown had been designed according to strict fashion, cut lower—well, his temperature threatened to soar a couple of degrees at the very thought. He found himself wondering what she must have looked like when she climbed out of the river in Bath after having saved Bridgwater’s nephew. His temperature did rise at least one degree. “The protégée?” he asked his grace. Their minds sometimes moved along strange parallels, Lord Francis thought. She was not beautiful. Once the eye could be persuaded to rise above the level of the woman’s neck, one could see that. Her features were too strong for true delicacy and her eyes were too wide-spaced and too candid to inspire lovelorn sighs. Her hair was unfortunately dressed. It was a rich chestnut color, it was true, and was abundant and shining and clean. But it was far too abundant for the curls and ringlets she wore. One found oneself picturing it worn down about her waist—with the bosom of her gown cut lower. Lord Francis fingered his quizzing glass and raised his eyebrows. And then she saw him coming. Her hand shot to her mouth, her eyes lit up with unholy amusement, and she half turned her head as if to whisper something to Lady Jane. Then she noticed Bridgwater, appeared to realize that the two of them were moving in her direction, and dropped her hand. She very noticeably blanked her eyes. But there must have been a speck of dust on the floor in front of her, Lord Francis thought afterward. There must have been. Certainly there was nothing else. Nothing that was visible. So it must have been something invisible over which she tripped. She did so quite inelegantly—not that there was an elegant way to trip, Lord Francis might have realized if he had been at liberty to consider the matter—and with a little shriek. Lord Francis quickened his pace sufficiently to leap forward and save her from quite upending herself on the floor. For one moment before he set her to rights and stepped back in order to regard her with eyebrows that were raised again in polite inquiry, he felt the full impact of that remarkable voluptuous bosom against his chest. And for the same moment it seemed somehow irrelevant that her chemise and gown, his coat and waistcoat and shirt all separated his bare flesh from her bare flesh. Quite irrelevant indeed. Lord Francis wondered if Prinny was due at tonight’s ball. If he was not, one was left to wonder why Lady Markley kept her ballroom so suffocatingly hot. Miss Cora Downes, to whom the Duke of Bridgwater was proceeding to present him as if nothing untoward had happened even though for a moment he had closed his eyes in pained acknowledgment of the fact that one-half of the gathered guests must have witnessed the uncouth debut of his mother’s protégée and the other half would be told of it within the next five minutes—Miss Cora Downes blushed a shade brighter than scarlet and then giggled. “Oops!” she said, interrupting his grace’s opening remarks. “I wonder if it is permitted to go back outside onto the staircase and try it all over again.” She spoke rather too loudly and heartily and then giggled once more before suddenly sobering in order to pay attention to Lord Francis’s name and to his request that he might lead her into the opening set. What a deliciously frightful young lady, he thought, feeling genuinely diverted for the first time in two or three eternities. 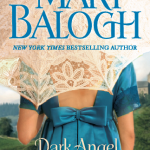 Stephanie Gray, an impoverished governess, has just been left an unexpected inheritance by her maternal grandfather. Rather than wait for a carriage to come and fetch her, she sets out for her new home by stagecoach. But during the journey she is robbed of everything but the clothes she stands up in. Even her cloak and bonnet are gone. She has no choice but to walk along the side of the road, hoping that someone will offer her a ride. A troupe of actors does so, but they are going the wrong way. They do, however, open their trunk of costumes and props and give her a cloak for warmth and a bonnet for decency. Both are garish in the extreme and nothing like the sober gray garments she has lost. She turned to walk determinedly on again. Perhaps it was as well that her valise had been stolen and did not therefore have to be carried, she thought briefly, until she remembered that if it had not been stolen, she would be on a stagecoach right now, considerably closer to her destination than she was. She could still hardly believe how stupid she had been to keep her traveling money and her tickets in her valise and to entrust that valise to the care of a friendly, stout, seemingly respectable country woman who had traveled the first leg of the journey with her, talking to her in most amiable fashion all the way. All she had wanted to do was go inside the inn before the stage drew up in order to use the necessary. She had been gone for five minutes at the outside. When she had returned, the stout woman had gone. And so had her valise, and her money, and her tickets. The stagecoach driver had refused to take her. The innkeeper had refused to call a constable and had looked at her as if she were a worm—a gray worm. She had still been wearing her own gray cloak and bonnet at that time. Something was coming at last—something a little larger than a cart. It must be another stagecoach or post chaise, she thought with a sigh. But she stopped walking. She moved right off the road to press herself against the hedgerow. She did not want to be bowled over by a coachman who believed he owned the road. It was a private vehicle—a plain coach drawn by four rather splendidly matched horses. The coachman and a footman were seated up on the box, dressed in blue uniform. Obviously someone grand was riding inside, someone who would not only look at her as if she were a worm, but also tread her underfoot or under wheel without sparing her a thought—especially considering her present appearance. Nevertheless, as the carriage drew closer, she held up one hand, at first tentatively, and then more boldly, reaching out her arm into the road. Panic welled into her throat and her nostrils. She did not think she had ever felt lonelier in her life—and she was an expert in loneliness. The carriage swept past without slowing. The two servants did not even deign to turn their heads to glance at her, though the eyes of both swiveled in her direction, and they were nudging each other with their elbows and grinning before they passed from her sight. She bit her lower lip. But suddenly, a little ahead of her, the carriage not only slowed, but actually stopped. The coachman turned, somewhat startled, and looked back at her with a face that had lost its grin. She hurried forward. Oh, please. Please God. Dear, dear God. A passenger was pulling down the window on the side closest to her. A hand, expensively gloved in cream leather, rested on top of it. Someone leaned forward to look at her as she approached. A man. 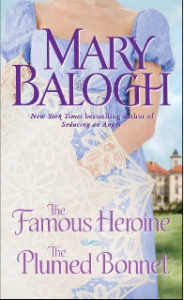 He had a haughty, bored, handsome face topped by thick, carefully disheveled brown hair. His voice, when he spoke, matched his expression. Had she not been feeling so weary and so hungry, not to mention footsore and dusty and frightened—and embarrassed, she might have answered tartly. What on earth did he think she wanted, out here in the middle of a roadway, miles from anywhere? “Please, sir,” she said, lowering her eyes to her reticule, which she clutched with both hands as if to make sure that that too would not be snatched away from her, “would you allow me to ride up with your servants for a few miles?” She did not fancy riding up with those nudging, grinning two, but doing so was certainly preferable to the alternative. “Where are you going?” She was aware of his gloved fingers, drumming on the top of the glass. She could tell from his voice that he was frowning. “Begging your pardon…” the coachman said with a respectful clearing of the throat. “To Hampshire, sir,” she said. The coachman cleared his throat again. “We really must get you to an apothecary, Bates,” the gentleman said impatiently. And with that he opened the door and jumped down to the road without first putting down the steps. She took an involuntary step back, aware suddenly of the emptiness of the road to left and right and of the fact that there were only three strange men confronting her. He was a large gentleman, not so much in girth as in height. He was a whole head taller than she, and she was no midget. She was horribly reminded of last night. “Well,” the gentleman said, turning and bending to let down the steps himself, though the footman vaulted hastily from his perch, “to the next village or town it is, Miss…?” He turned back to look at her, his eyebrows raised. One eyebrow stayed up when the other came down. “Miss Gray,” he repeated, reaching out a hand for hers. She had the impression that he was mentally naming off all the bright colors of her attire and considering the incongruity of her name. Belatedly, she wondered why she had not thought of pulling the plumes from her bonnet this morning and tossing them into the nearest hedgerow. He expected her to ride inside the carriage with him? Did he not know how very improper…? But clinging to propriety seemed absurd under the circumstances. And the prospect of being inside any structure, even if only a carriage, was dizzying. “I did not expect to ride inside, sir,” she said. She set her hand in his and immediately noticed the hole worn in the thumb of her glove, twisted around and perfectly visible. “Thank you,” she said, feeling horribly mortified. And then, as she settled herself on one of the seats, her back to the horses, and felt the warmth and softness of the blue velvet, she had to swallow several times to save herself from a despicable show of self-pity. She twisted the thumb of her glove inward in the hope that he had not noticed its shabbiness. The gentleman closed the door again and seated himself opposite her, and the carriage lurched into well-sprung motion. She smiled at him a little uncertainly and tried not to blush. She could not remember another time when she had been quite alone with a gentleman.